You're reading Feelin' Sketchy, our regular newsletter full of ninja sketching tips, expert marketing insights, and more. At Sketch Group, we feel extraordinarily lucky on a regular basis that we get to partner with clients doing work that matters. Not to suggest that the dozens of workshops we sketch, or the videos we animate, or the posters we create don't have an impact or aren't worthwhile. But sometimes a project comes along that humbles you, and you feel honoured to be a part of. 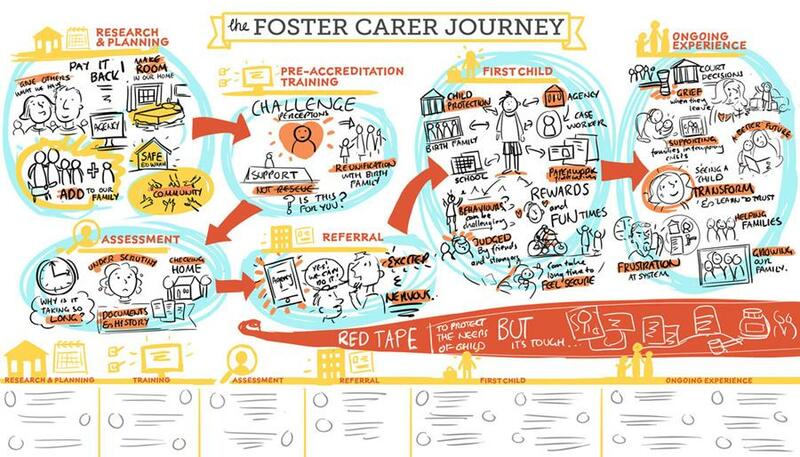 Sketching the Foster Carer Journey for the Department of Health & Human Services was one of those projects. Foster carers capture the emotions they felt at various stages of their journey. 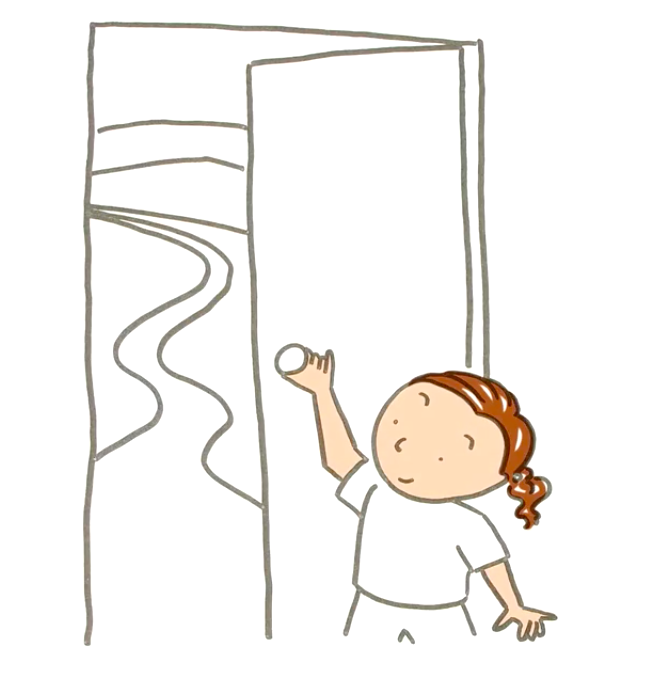 synthesise and polish the findings into an illustrated journey map that could be used by the department to raise awareness about the crucial role that foster carers play in our society, as well as help identify opportunities for improving and optimising the overall system. Because of the sensitive nature of the subject matter, we decided collectively that there was value in creating two versions of the poster—one that would be useful for recruiting, retaining, and raising awareness of foster carers, and another version that was more suitable for internal use. 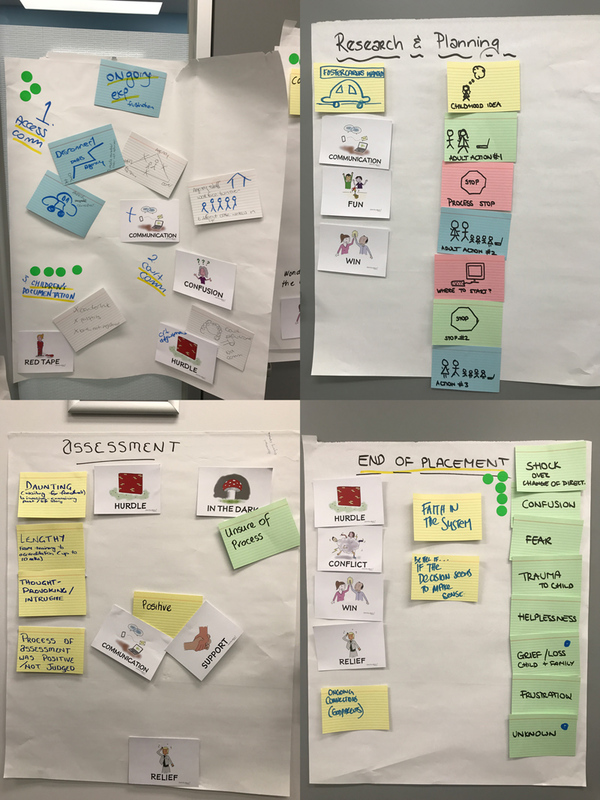 This internal version was more focussed on helping members of DHHS and agencies to identify opportunities where the overall system could be improved. We were faced with the challenge of walking a fine line between wanting to shout from the rooftops about what amazing work foster carers do for our community, with painting a realistic picture that accurately portrays the fact that being a foster carer is hard. Some of the stories that came out on the day were heartbreaking, and the weight of responsibility to capture and visualise those emotions was enormous. We were extremely proud of the final result, which was a truly collaborative effort from the department, agencies, carers, advocates, and several members of the Sketch Group team—Lucinda, Kerstin, and myself. 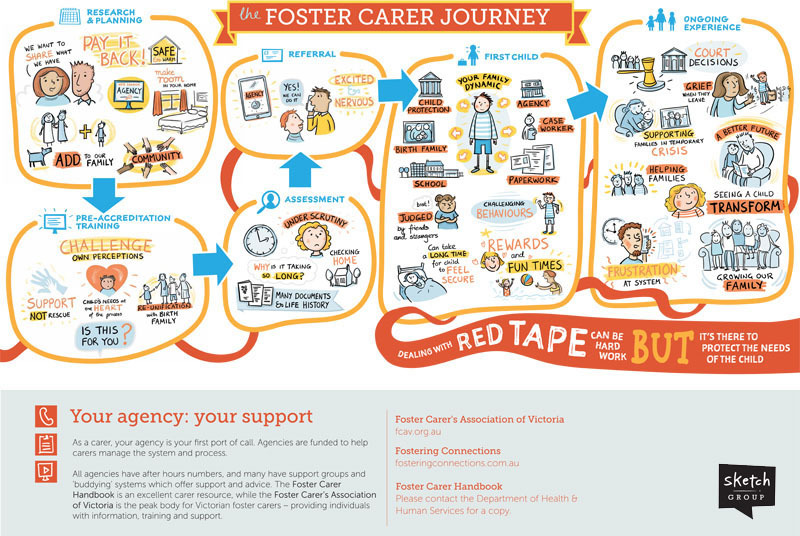 One thing that we learned from the project is that there is much greater demand than there are available foster carers, so we hope the small part we played in creating this journey map goes some way to helping increase the number of Victorians who decide to volunteer to foster a child. 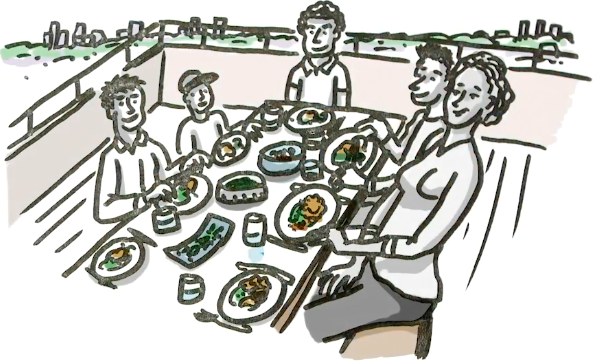 We've recently been working with the Peak Body for Co-operative Housing in NSW, Common Equity, to create a video explaining what they do and the many wonderful benefits of co-operative housing. Around the world, Co-ops are a really big deal—and Australia is getting on board. Given our current housing pricing crisis, the value of housing co-ops can't be ignored. There are multiple financial, social, health and well-being benefits, plus the concept is inclusive of all ages and demographics. 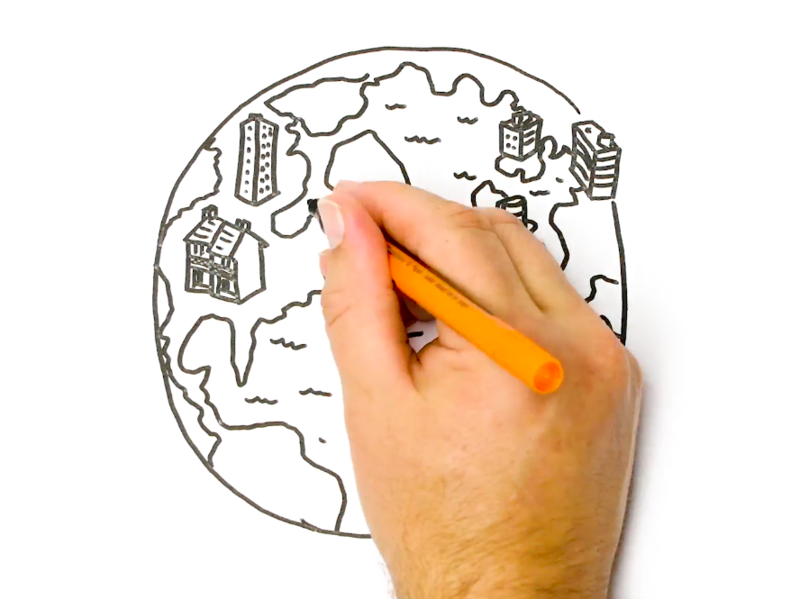 To learn more about co-operative housing is all about, check out their brand new video. What catches your eye? What's that shiny object that captures your attention? What draws you in? Chances are it's a video. Over half a billion people are watching a video on facebook every single day. YouTube is the second most visited site (after Google). Over four times as many consumers would rather watch a video than read about a product? 60% of visitors to your website will watch a video before reading a thing? Nearly 2/3s of people prefer a video under 60 seconds? And if you thought it was just consumers who were encourage to click, you're wrong. 59% of executives would rather watch a video than read text. I hope you've found something useful or inspiring in this issue. Let us know your thoughts and keep up with other Sketch Group updates on social media. We're @SketchGrp on Twitter, Facebook, and Instagram.